Comfortable, lightweight garment is washable and can be worn all day, except when bathing and showering. 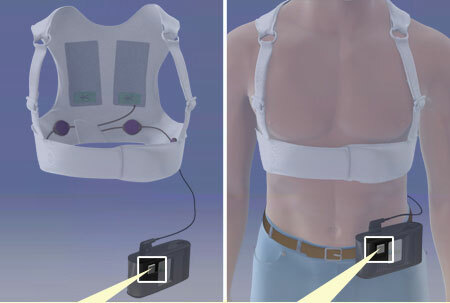 Dry, non-adhesive sensing electrodes on this electrode belt continuously monitor patient's heart. 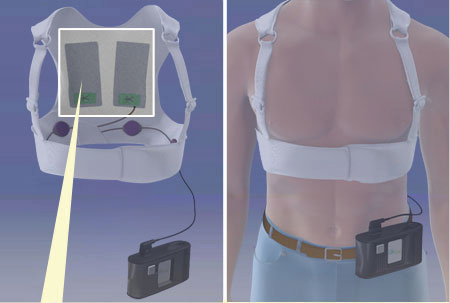 This monitor is worn in a holster around the waist and collects ECG data from the sensing electrodes which can later be sent to a doctor via modem. 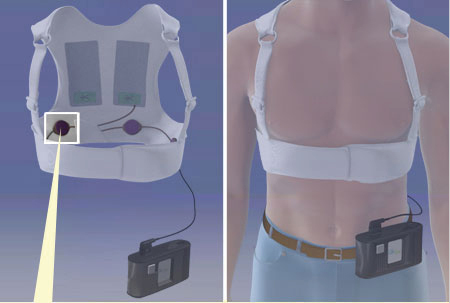 If a life-threatening arrhythmia is detected, this alarm module alerts the patient with audible, visual and tactile alarms. 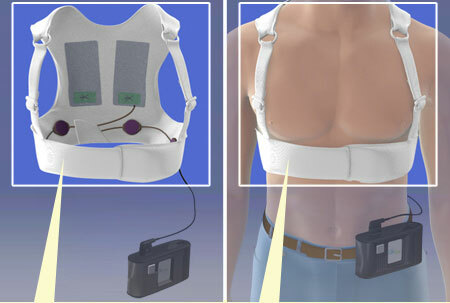 A conscious patient can prevent a shock by simultaneously pressing two response buttons. 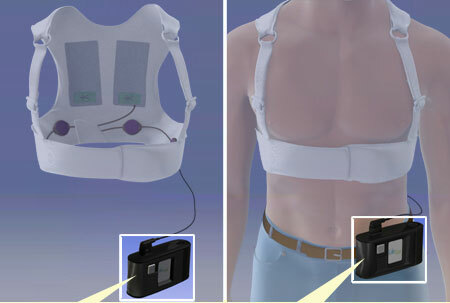 In the event of a life-threatening arrhythmia, these dry therapeutic electrodes will automatically deploy conductive gel prior to delivering a shock.